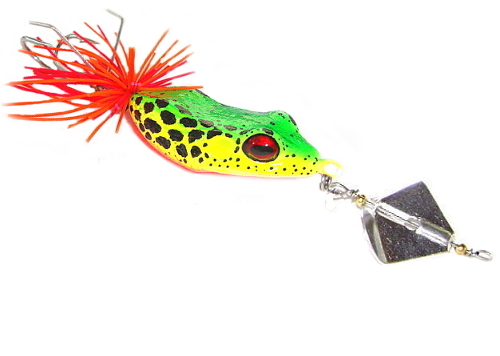 Highly realistic frog bait topwater fish catcher. 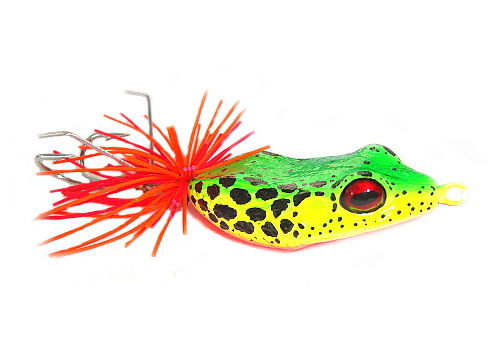 Original Killer Frog ‘Red Eye’. 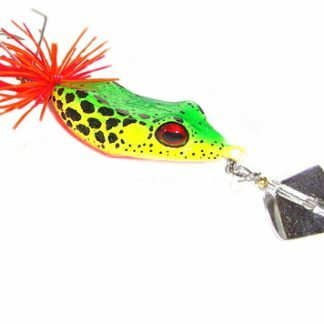 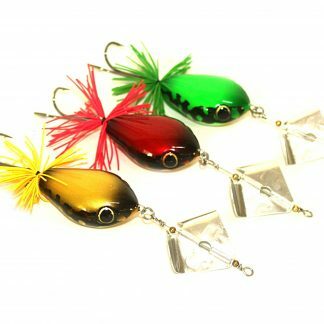 Is a topwater slow sinking lure so when retrieved steadily it will cruise on the surface creating a splashing action and when paused sinks slowly imitating a frog diving under the water. 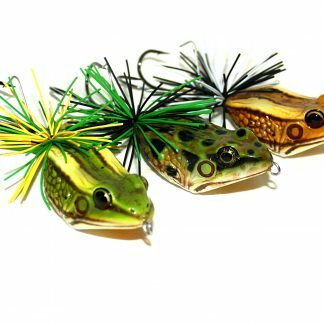 Each lure is individually hand painted, comes with double hooks, weed guard, rubber skirt tails and 3.5cm Buzzer blade attachment. 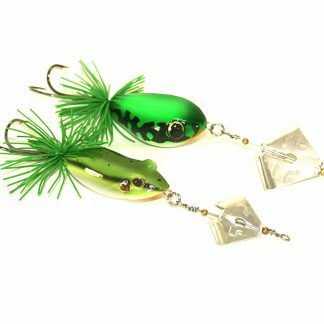 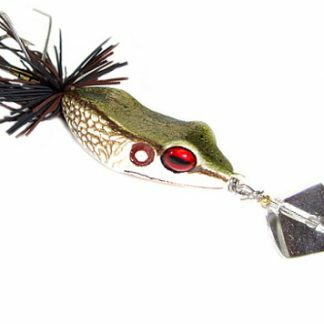 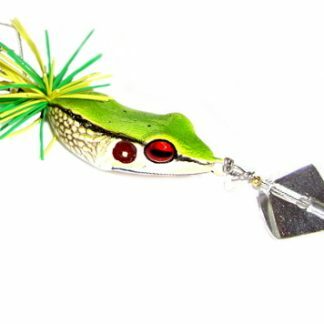 Use as a buzz bait over sunken weedbeds or tree trunks for exciting topwater takes from lurking lunkers or fish as a frog bait over lily pads and drop in ready for explosions from the water surface.